As citizens, politicians, and entrepreneurs alike become increasingly concerned about the dependence of the world on fossil fuels, solar power has become a popular option. Solar power allows people to use the energy produced by the sun to power their homes and businesses, providing a renewable, clean source of energy. Solar technology has made incredible improvements over the past few years, but the future of the technology does also inspire some debate. Over the past few decades, the capacity of solar panels has improved dramatically, while the price of the panels has dropped. According to Peter Diamandis of Forbes.com, in 1977, the cost per watt of silicon photovoltaic cells was $76.67. In 2014 that number had plummeted to $0.36. 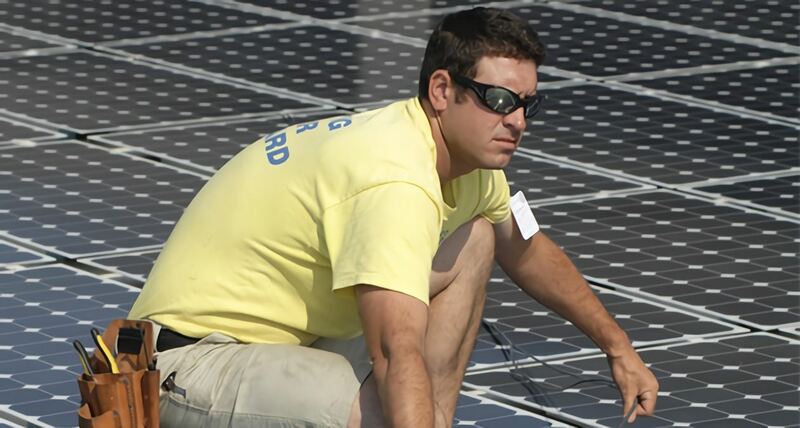 Steve Davidson of Communities Digital News reported that U.S. solar capacity increased from just over 2,000 megawatts in 2010 to 12,000 megawatts in 2014. With dropping prices, the technology has also become progressively popular, seeing an average of a 30 percent rise in solar energy production per year. The solar demand is fueled by government bodies, business leaders, as well as individual customers. This has also had a strong positive impact on professionals in the solar industry, including solar installation technicians. Unfortunately, although these numbers sound impressive, they still only have a minimal impact on the overall energy industry. Davidson further explains that 12,000 megawatts capacity only averages 3,000 megawatts of usable electricity. Besides, although solar has experienced tremendous growth, it still represents only a little over 1 percent of the total electricity capacity in the United States. While innovation in solar technology has contributed significantly to the sector’s growth, new technological advances may boost the industry even further. CNN reports that a new material called perovskite, a mineral found in the Earth’s mantle, may start rivaling the efficiency of crystalline-silicon-based solar cells, which convert 20 percent of solar energy into electricity. Simply applying perovskite on top of traditional silicon cells can make them more efficient. In addition, a technical advance based on edible salt used in tofu manufacture may render solar panels less expensive, more flexible, and easier to use. The Independent states that solar cells produced with magnesium chloride – recovered from seawater – may replace the highly expensive and toxic cadmium cells currently used. Others, such as Davidson, see the future less optimistically. As mentioned above, the industry has been largely funded by government subsidies, as they have allowed people to afford solar energy. Without these subsidies, it will likely be difficult for solar energy to compete with other energy sources, such as natural gas, on its own. There are also concerns about solar energy’s production capacity, as the sun cannot be used to produce electricity at night. Lastly, Davidson mentions that most of the government subsidies set to expire by the end of 2014. In a favorable environment with these factors, the installation industry can expect to see as much as a 24 percent increase in jobs between 2012 and 2022. Diamandis in his Forbes article quotes solar technology experts Elon Musk and Ray Kurzweil who project that solar energy will comprise between 50 percent and 100 percent of U.S. energy needs by 2034. A recent study by Deutsche Bank, however, shows that solar energy could be as cheap as energy derived from fossil fuels in 47 U.S. states by 2016 due to technological advances. Another reason for the dropping costs is the government’s 30 percent tax credit on the solar energy system. Deutsche Bank’s study maintains that solar power will remain competitive in 36 states even if the tax credit drops to 10 percent. Furthermore, the International Energy Agency expects solar power to be able to compete with fossil fuels on a global scale by 2025 to 2030. The solar energy industry continues to evolve and has the potential to change the energy landscape. The year 2015 will be pivotal, as either the technology will be forced to stand on its own and compete without government subsidies or the subsidies and incentives will be continued, giving the technology more time to develop and become more cost-efficient.